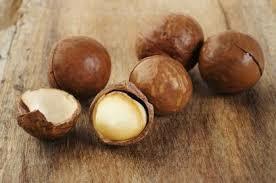 An allergy to tree nuts is one of the most common food allergies. A food allergy occurs when the immune system reacts to an allergen (protein) in a food. Tree nuts include almonds, Brazil nuts, cashews, chestnuts, hazelnuts, macadamia nuts, pecans, pistachios, pine nuts and walnuts. Along with peanuts and shellfish, it is also one of the food allergens most frequently linked to anaphylaxis, a potentially life-threatening reaction that impairs breathing and can send the body into shock. There’s often confusion between tree nuts and peanuts. A peanut is a legume (belonging to the same family as soybeans, peas and lentils), not a tree nut. The proteins in peanuts are similar in structure to those in tree nuts. Between 25 and 40 percent of individuals who are allergic to peanuts also react to at least one tree nut. The good news is that it was previously believed that an allergy to peanuts was lifelong, but recent research shows that about 20 percent of individuals with a peanut allergy eventually outgrow it. To avoid the risk of anaphylaxis, people with a peanut allergy must be very careful about what they eat. Peanuts and peanut products are commonly found in candies, cereals and baked goods, such as cookies, cakes and pies. Also in take-aways and food served at restaurants. Foods that don’t contain peanuts can get contaminated if they are prepared in the same place or using the same equipment. As a result, people with a tree nut or peanut allergy should avoid products that bear precautionary statements on the label, such as “may contain peanuts” or “made in a factory that uses nut ingredients.” Note that the use of those advisory labels is voluntary, and not all manufacturers do so. Check the label each time you buy a product. Manufacturers sometimes change recipes, and a trigger food may be added to the new one. Look for peanuts outside the kitchen. In addition to foods, nuts can be in lotions, shampoos, and pet food. Check labels before you buy or use them. If you’re cooking meals from scratch at home, it’s easy to modify recipes to remove peanut ingredients and substitute ingredients that aren’t allergens. Some people who can’t tolerate peanuts or eat peanut butter can consume other nut or seed butters. See my post “Nuts about butter” for information on nut butters. Source: www:acaai.org; www.wikipedia.org; www.foodallergyawareness.org; www.webmd.com; www.nutsforlife.com.au. 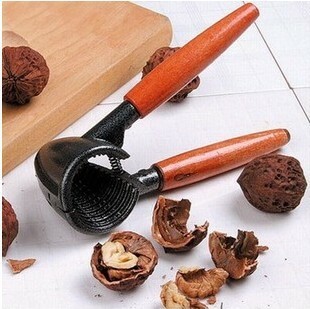 The word “nutcracker” might conjure up images of the nutcracker soldier from the “Nutcracker Ballet” rather than the kitchen tool used to crack open the shells of nuts. It is quite understandable as this popular ballet has become the most widely performed ballet in the world. The beloved ballet tells the story of a little girl named Clara who is given a magical nutcracker doll on Christmas Eve. She encounters the frightful King Rat before embarking on a wondrous journey through the Land of Snow and the Kingdom of Sweets. In 1816, German author E.T. Amadeus Hoffmann wrote the novel “The Nutcracker and the King of Mice,” which is the work that inspired the famed ballet “The Nutcracker” and Tchaikovsky’s accompanying score, “The Nutcracker Suite.” The ballet and its music continue to be a holiday tradition throughout the world, and are the reason nutcrackers are associated with Christmas. Nutcrackers in the shapes of animals and people were popular at parties, as cracking nuts was a light task to engage guests over conversation after dinner. Nutcrackers can be divided into two groups. The first one is the decorative nutcracker often seen at Christmas time (not so much in South Africa though) and the second is the industrial steel tool that one would find in a kitchen drawer. Both types are functional nutcrackers, and which type to buy depends upon buyer preference and the nutcracker’s intended use. 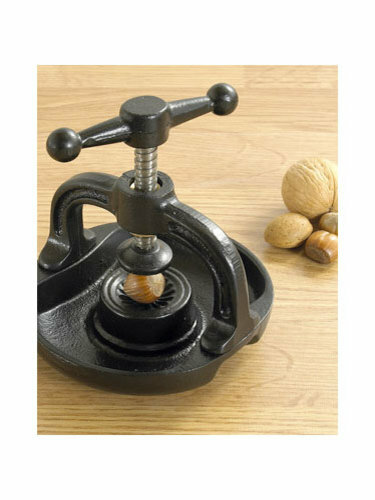 The oldest known metal nutcracker dates back to somewhere between 300 and 400 BC, and prior to that, nuts were cracked with stones. In the 1500s and 1600s AD, woodcarvers began making beautiful and elaborate wooden nutcrackers that were both functional and decorative. In the 1800s, screw nutcrackers were invented. At first, the screw nutcrackers were very simple, but soon they evolved to become more elaborate and decorative. It was during the 18th and 19th centuries that wooden nutcrackers started to be carved into the likenesses of humans, animals, and characters. 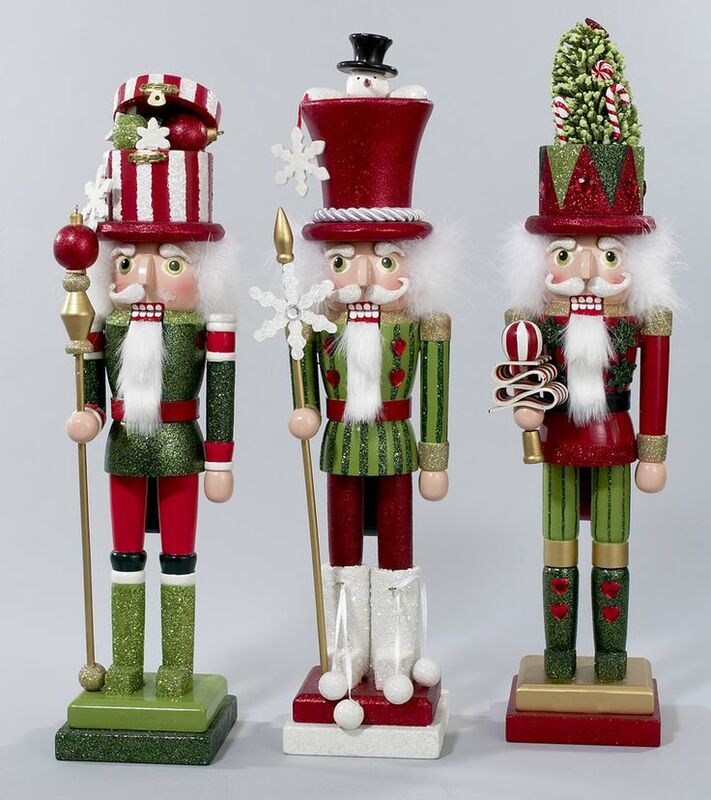 Decorative nutcrackers come in limitless sizes, colors, and shapes. There are nutcrackers that look like kings, soldiers, animals, cartoon characters, and other novelties. 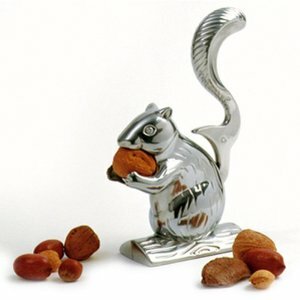 I include photo’s of a few interesting nut crackers I found online. From the small town of Montagu on the foot of the Langeberg, comes the success story of Montagu Dried Fruit and Nuts – one of SA’s foremost dried fruit, nuts and seed importers and suppliers. Established 13 years ago the company prides itself in acquiring, processing, packaging and distributing top quality dried fruit, nuts and seeds and related products. Their range consists of fruit, seeds and nuts in bars or rolls, snack- or strip packs or even in the form of sweets – all in bright, attractive packaging allowing a clear view of the Montagu quality assured contents. With a national network of franchise stores, Montagu brings ‘sunshine in a packet’ to the whole of South Africa. In addition to their top quality dried fruit and nuts they’ve also partner with the likes of internationally acclaimed Willow Creek, Ashton Cellars, Bellair yogurt and carob coated dried fruit and nuts, red espresso and Health Connection Wholesale and supply these and other top quality products that support a healthier lifestyle in their stores. Montagu has something for every taste. There are interesting alternatives for school-going children and students, with a wide choice for home entertainers and those on the look-out for something to add interest to recipes. Working adults, who need a healthy snack to keep up energy levels, also won’t need to venture further than their nearest Montagu Dried Fruit and Nuts store. Montagu Dried Fruit and Nuts have more than 115 stores country wide with more opening this year. For more information about their products, health benefits and lip-smacking recipes visit their website, Facebook page or Twitter. To stand a chance to win a hamper of your favorite Montagu products to the value of R500.00, visit the Montagu store at Cresta (next to Pick ‘n Pay). All you need to do is to visit the Montagu store at Cresta (next to Pick ‘n Pay) and take a selfie of yourself with a basket filled with your favorite Montagu products. Send the photo and your contact details to marketing@montagudriedfruitnuts.co.za. The competition will close on 31 July 2015. Winners will be announced on the Montagu Dried Fruits Facebook page. Jozi’s Nut Butters are quality, artisan nut butters that are not only completely natural, but also healthy and delicious! It is currently available in the following flavors: Classic Almond, Classic Cashew, Toasted Coconut Cashew and 4 peanut varieties: Classic, Chocolate Truffle, Toasted Coconut and Dark Dark Chocolate. I cannot wait to try their Macadamia Nut Butters which will be available in July! 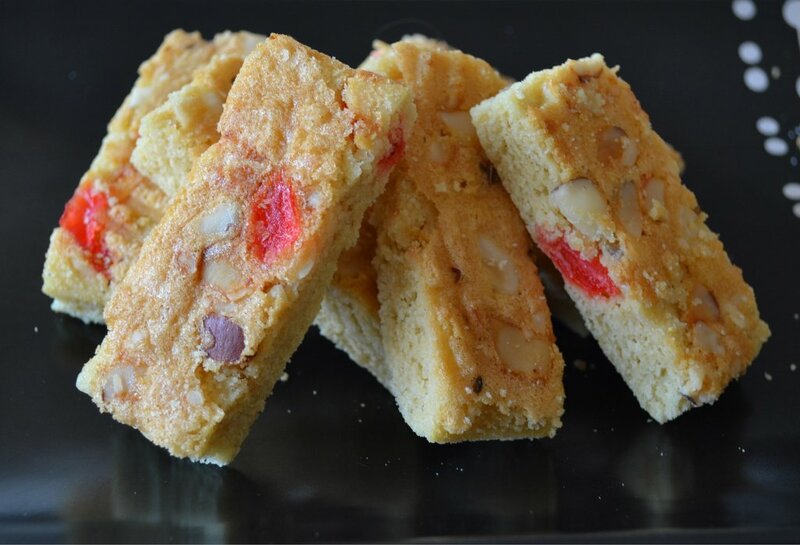 Banting-friendly butters – Cashew and Almond. The Fourways Farmers Market (Sundays 9h00-15h00) – Back in July! All Doppio Zero Restaurants – look for Jozi’s Classic Almond Butter on their winter breakfast menu!! Available online from 1 July 2015. Jozi’s Nut Butters was established in February 2014 and is a social enterprise business through the local non-profit Oasis South Africa (www.oasisza.org), with the purpose of creating jobs and bursaries to UNISA for young unemployed women in Johannesburg, specifically those who are often excluded in the employment market. They provide a supportive workplace where women can grow and acquire the professional, and life skills as well as a degree to earn a living wage. An impressive balance of ingredients turned into a salad which will feature well on any festive menu. The slightly bitter, sweet and salty caramel shard resembles amber coloured stained glass and adds flavour, texture and sparkle to this quick to assemble salad. Variations for this Pear and Cheese salad are found on menus of restaurants world wide! According to Carolié, after 5 years in New Zealand she still harbours fond memories of Tashas Morningside (Johannesburg) where there were always queues outside and she regularly enjoyed this salad! The walnut wood bowl in the photo was made by Carolié’s husband Adri! – Use any favourite salad dressing or prepare the dressing below in advance and chill it well to have ready when the salad is made. – Prepare the shard in advance and store airtight until required. – Adding bacon & avocado is good but optional – suit yourself! – Prepare each salad separately in an individual bowl or arrange on a large platter. – Layer the lettuce leaves with the pear slices and scatter the remaining ingredients over the top. Line the baking tray with foil and coat it with a thin layer of non-stick cooking spray or oil. Mix the sugar and salt and sprinkle a thin even layer onto the foil – covering more or less the size of a dinner plate (20 cm diameter). Position the oven rack 10 cm away from the grill and preheat the grill. Place the baking tray onto the rack to melt the sugar. Remove the baking tray from the oven once the sugar has melted and tilt the pan from side to side to allow the melted syrup to cover any remaining sugar crystals and form an even layer of syrup on the foil. Return the pan to the oven briefly until the syrup turns a light amber gold colour. Take good care while melting and browning – the syrup must not scorch. Remove from the oven and allow to cool completely. Lift the caramel away from the foil and break into pieces like broken glass. Store in an airtight container until ready to use. To prepare the dressing, place all the ingredients into a jar, seal en shake well. Refrigerate until required. Shake well before using. 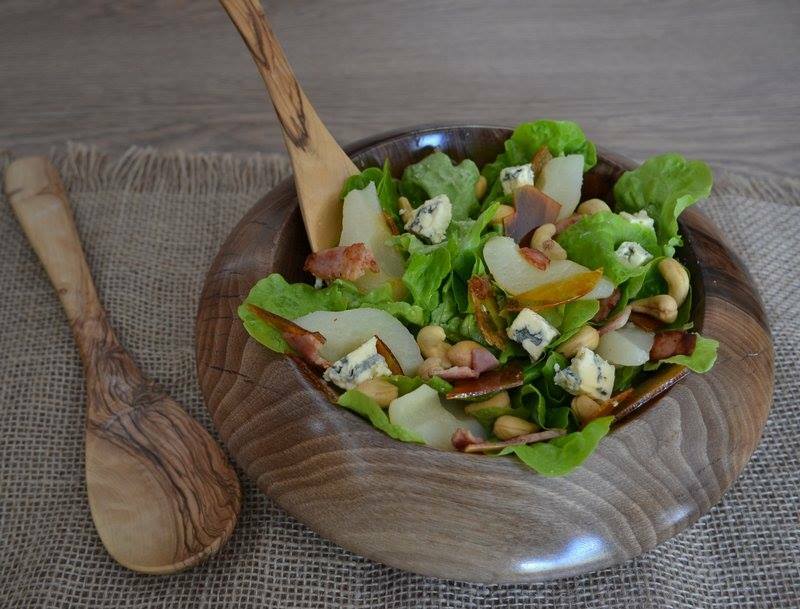 Assemble the salad decoratively layering the leaves with the pear slices, nuts, cheese and bacon and avocado if used. Drizzle with dressing and garnish with the caramel shards and spring onion. Serve the salad soon after adding the shards. A Florentine biscuit is a French pastry that is erroneously attributed to Italian cuisine. The Florentine was first made in France at the Palace of Versailles by the king’s top pastry chefs for visiting in-laws, the Medici family of Florence. Due to these close ties to Florence, it is not surprising that the French named this popular delicacy after the capital of Tuscany, Italy. Florentines are made of nuts (most typically hazel and almond) and candied cherries mixed with sugar or honey and butter and baked in the oven. They are often coated on the bottom with chocolate. Other types of candied fruit are used as well. 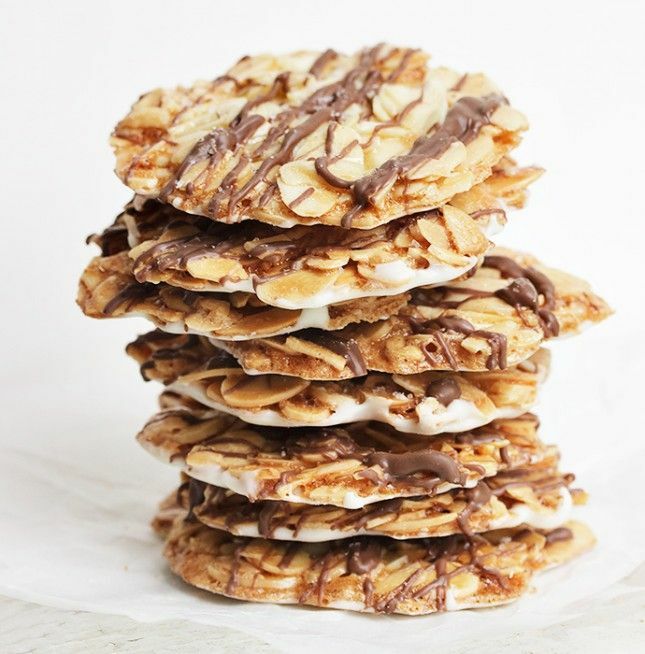 This recipe is a simplified version of authentic florentines. Toast the almonds in a dry pan on a medium heat until light brown. Watch them carefully as they burn very easily! Transfer the almonds to a plate to cool. Preheat the oven to 180°C and line two baking trays with Wizbake baking sheets. Combine the butter, egg whites, icing sugar and flour in a mixing bowl and mix well. Add the glace cherries and/or raisins if used, as well as the toasted almonds and mix well. Spoon 20 to 30 heaps of batter onto the baking sheets. Bake for 10 to 12 minutes until golden. Set the baking trays aside to allow the biscuits to harden and cool completely. Serve as is or brush melted chocolate on the underside of the biscuits. Use a fork and make a wavy line on each biscuit. Alternatively drizzle melted chocolate over the biscuits. Set the biscuits aside until the chocolate has set. Store the biscuits in an airtight container between layers of baking paper to prevent sticking. Satay is a dish of marinated, skewered and grilled meat, typically served with peanut sauce. Diced or sliced chicken, mutton, beef, pork or fish can be used. It is grilled or barbecued over a wood or charcoal fire, then served with various spicy seasonings. Soak the sticks in a shallow dish with water for 1 hour to prevent them from scorching during cooking. Mix together the soy sauce, fish sauce, lime or lemon juice, garlic and ginger in a large mixing bowl or a container with a lid. Cut the meat into 2 cm x 2 cm cubes and it to the marinade. Cover the bowl with cling film or cover the container with a lid. 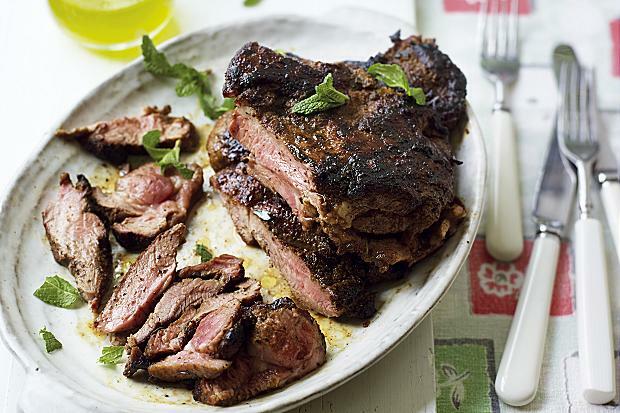 Marinate in the fridge for at least 1 hour. Thread the meat onto the sticks. Leave 5 cm open at the one end of the stick for holding. Place the satay on an oven tray or roasting tin lined with foil and bake on the middle shelf for 10 – 15 minutes on each side until cooked through. The satay can also be barbequed for 5 – 7 minutes on each side. Baste the satay with the leftover marinade while it is baking or grilling. In the meantime, combine the ingredients for the sauce in a small saucepan and heat while stirring continuously. Remove from the heat and transfer to a serving dish. 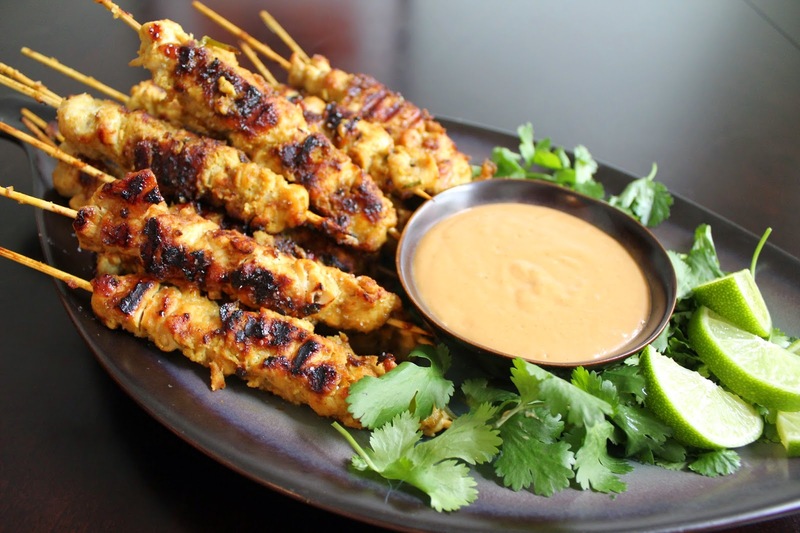 Serve the satay hot with the peanut sauce (room temperature or heated). This is one of my favorite salads by far – and I am not really a pea person! 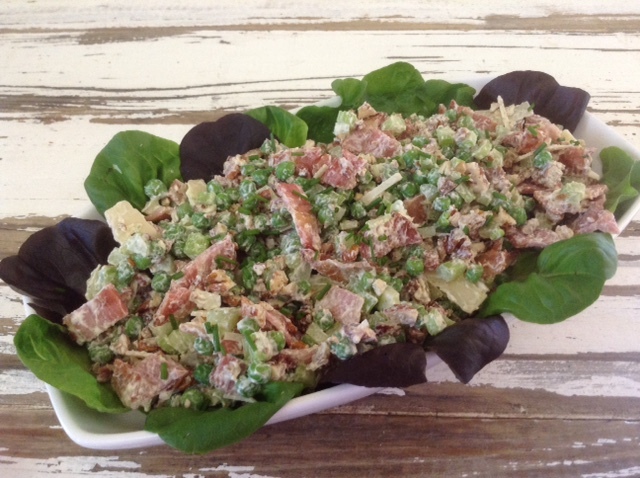 This is the banting-friendly version of Carolié de Koster’s Nutty Bacon & Pea Salad from the Art Of Cooking Recipe book p. 472. Pre-heat the oven to 200 º C and line two large baking trays with Wizbake baking sheets. Place the bacon strips in a single layer on the baking trays and bake for about 10 minutes or until crispy. Alternatively, fry a few slices of bacon at a time in a saucepan. Chop the cooled bacon coarsely and set it aside. Prepare the rest of the ingredients (see photo below) and combine it in a large mixing bowl. Season to taste with salt, pepper or seasoning of your choice and mix well. Cover the bowl with cling wrap and refrigerate for 1 hour to allow the flavours to blend. When ready to serve, tear the lettuce leaves into bite-sized pieces and line a large salad platter or individual plates with the lettuce. Add the bacon to the bowl and mix well. Spoon the mixture onto the bed of lettuce and serve immediately. 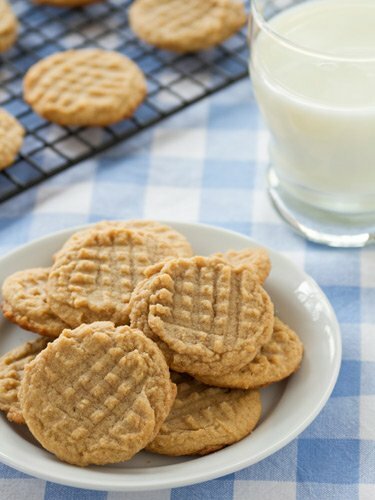 Also known as “miracle” cookies, these cookies only have three ingredients, are quick to make and they are also gluten-free. Preheat the oven to 180 º C and line two baking trays with Wizbake baking sheets. Combine the eggs, sugar and vanilla in a bowl and mix well. Add the peanut butter and mix until quite smooth. Cover and refrigerate for at least 45 minutes. Roll the dough into small balls and place it onto the baking tray allowing room for spreading. Use a fork and press a pattern onto the biscuits. Allow to cool a few minutes on the tray before placing onto a cooling rack. 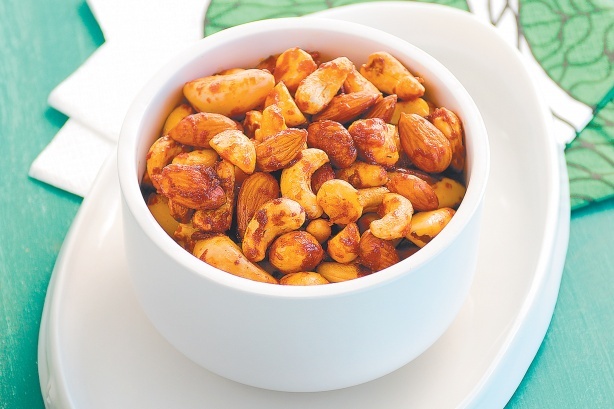 You and your guests will not be able to stop snacking on these nuts! Heat the butter or oil and mixed spices in a heavy based saucepan and cook over moderate heat for 1 minute, stirring. Add the nuts and toss to coat evenly. Turn out the nuts onto a baking tray lined with a Wizbake baking sheet and spread the nuts out in a single layer. Bake 15 minutes, stirring once or twice. Cool and store in an airtight container until required or up to a month or two. Makes 400 g or about 1 liter roasted nuts. Try your own variation with spices or seasonings for the nuts such as Cajun seasoning. These light and delicious biscuits are trendy and nutritious. Enjoy as is or dip in coffee or sweet dessert wine such as sherry as the Italians do! Line the base and sides of a loaf tin (280 x 110 x 65 mm or 225 x 125 x 80 mm) with baking paper and grease well with butter or cooking spray. Preheat the oven to 180°C. Place the egg whites in a mixing bowl or the bowl of an electric mixer fitted with the balloon whisk and beat until stiff peaks form. Add the sugar gradually and whip until thick and glossy as for meringue. Beat in the vanilla essence. Add the flour, salt and nuts and fold in very lightly with the whisk or a large spoon only until combined with the egg white. Pour the mixture into the prepared tin, smooth the top and bake about 25 minutes or until firm and golden. Cool, loosen, turn out and cool completely. Slice the loaf with an electric or sharp serrated knife into 5 mm slices and arrange flat on a baking tray. Return to the oven and dry out for about 20 minutes, turning over once until crisp and dry. Place a spoon in the door if necessary to keep it slightly ajar to allow moisture to escape. Cool and store in airtight containers. About 30 biscotti, depending on size. Note The nuts used may be one kind only or a mixture of 2 to 3 kinds. This may include blanched almonds, shelled toasted pistachio nuts (salt rubbed off if salted) toasted and shelled hazelnuts or unsalted cashew nuts or pecan nuts. 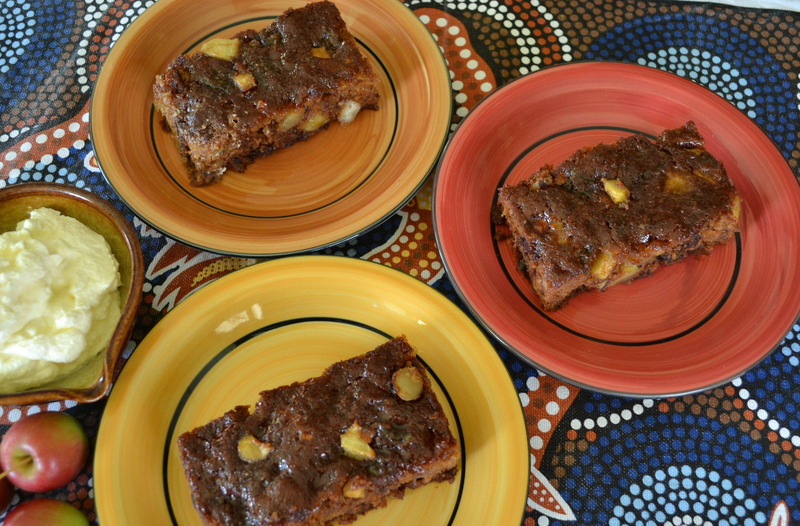 By adding dried fruit and nuts to this bread it is taken to a whole new level. Also try the Light Rye Bread which can be served with soup or as part of a cold buffet including salad, fish, cold meat and especially good tasty cheese. Note If a bread with a dark colour is preferred use treacle or molasses. For a light bread use honey only or ½ honey and ½ molasses. Combine the dry ingredients and add the butter or oil and honey and/or treacle or molasses and water and mix well. To knead by hand, turn out the dough on a floured surface, knead for 5 minutes, adding extra flour as necessary and return to the bowl. Or, to knead in an electric mixer, knead 3 to 4 minutes with the dough hook or until no longer sticky, adding a little extra flour as necessary. Cover and allow to stand for 15 minutes. Add the nuts and cranberries and knead it into the dough. Cover and allow to stand for another 15 minutes. Line a baking tray with Wizbake baking sheet. Divide the dough into two portions and shape into oval-shaped loaves. Place the loaves onto the baking tray and brush with yoghurt or buttermilk and sprinkle with rye flour. Slash the top of the loaves diagonally with a sharp knife or snip with a pair of scissors. Place the well-risen loaves into the oven, lower the temperature to 190°C and bake for 20 minutes. Lower the temperature to 180°C and bake another 15 to 20 minutes or until the loaf is golden brown and sounds hollow when tapped on the top crust. Makes 2 medium loaves or about 16 to 20 slices. 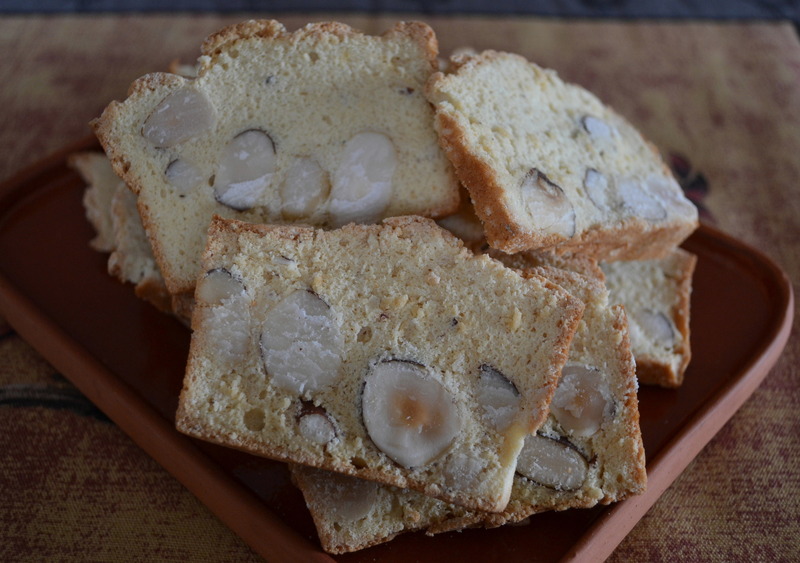 A baked sponge base is cut into fingers and dried out (biscotti-style) to make delicious but no too sweet spongy biscuits to nibble on or dip into tea or coffee. Preheat the oven to 180ºC. 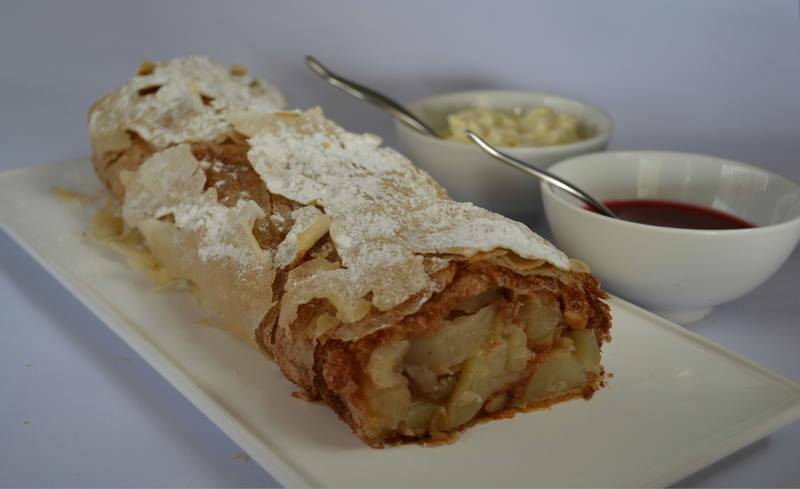 Line a large baking tray (± 38 x 28 cm) with baking paper and grease well with butter or spray with cooking spray. Beat together the eggs, sugar and salt very well for at least 5 minutes until thick and pale yellow. Sprinkle the flour, baking powder, nuts and cherries over the mixture and beat gently just until combined. Add the oil, water and flavouring and mix lightly. Pour the batter into the prepared tin, spread evenly and bake about 20 minutes or until golden and firm to the touch. Cool in the tin for 10 minutes and cut into± 3 cm wide strips lengthwise and then crosswise into fingers ± 7 cm in length. Arrange the biscotti slightly apart onto baking trays and dry out for about 3 hours at 100 ºC until crisp and dry. Place a spoon in the oven door to keep it ajar and allow moisture to escape while drying. 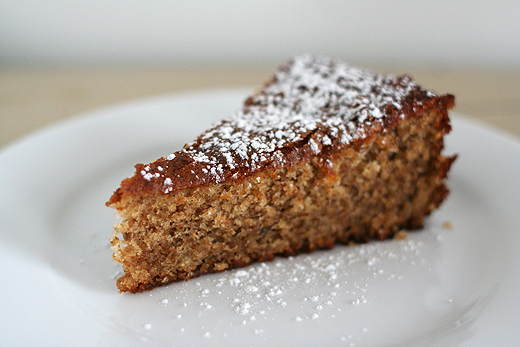 Recipe by Carolie de Koster. The simplicity of the method for these outstanding rusks is most appealing. Preheat the oven to 180 °C and grease 2 loaf tins (26 cm) generously with butter. 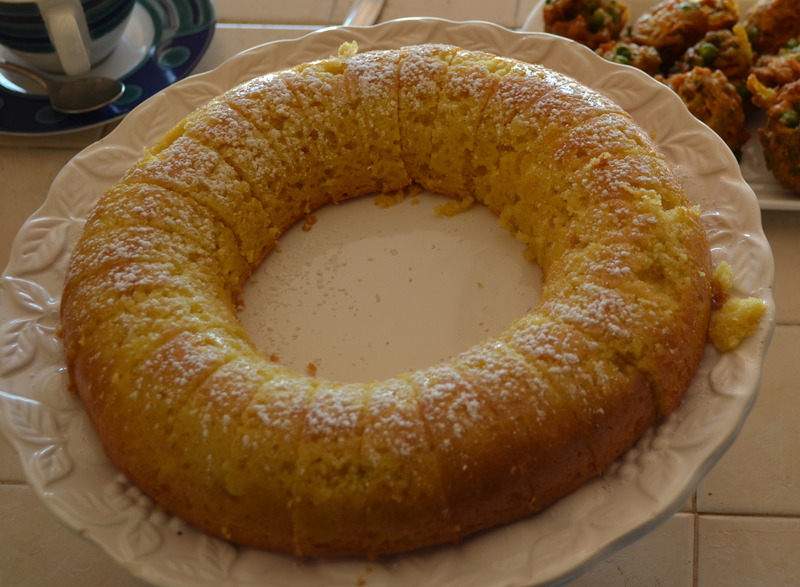 Combine all the dry ingredients in a mixing bowl and make a well in the center. Beat together the eggs and 750 ml cream and reserve 30 ml to glaze the rusks. Add the mixture to the dry ingredients and mix lightly while adding enough of the remaining cream or buttermilk to form a dough which is just comfortable to handle – neither firm nor soft. Turn out the dough on a floured surface and knead lightly for a few minutes until smooth. Pinch off golf-ball size portions, roll into slightly elongated shapes and pack in neat rows, just touching comfortably into the greased tins. Mix the reserved egg and cream with a little extra water and brush over the tops of the rusks to glaze. Bake for about 35 minutes or until golden brown and firm and a metal skewer comes out clean if inserted into the centre of the baked loaf. Cool in the tins for a few minutes and turn out carefully onto a cooling rack. Turn over and cool at least 2 hours before separating into rusks with the tongs of a fork – for a natural appearance. Pack loosely on baking trays and dry out in the oven at 60 °C for 5to 6 hours with a spoon positioned in such a way that the door remains slightly open while drying to allow moisture to escape. When quite dry, cool and pack in airtight containers to store for up to a month. Makes about 100 average rusks. Note Turn down the heat slightly if the top browns too much or too soon and cover loosely with aluminium foil. Omit nuts and chocolate, use 200 g / 250 ml sugar and add 10 ml aniseed if preferred. Omit chocolate and nuts, use 200g / 250 ml sugar and add ± 250 ml combined seeds (sesame, poppy, sunflower and linseeds) to the dry ingredients. Start the day with these crunchy, tasty, health rusks. Dunk into tea or coffee or use to nibble on at any time of the day. Grease a large roasting dish (40 x 30 cm) with butter or margarine and pre-heat the oven to 180 ºC. Combine the dry ingredients in a large mixing bowl and make a well in the center. Mix the bicarbonate of soda and vinegar and add to the dry ingredients together with the melted butter. Mix well and turn out into the oven baking tray. Bake the rusks about 45 minutes or until firm to the touch and nicely browned but not too dark or dry. Allow to cool a few minutes before cutting into fingers. Pack slightly apart onto a baking tray and place into the oven with the door slightly open to allow moisture to escape. Keep the door open with a spoon if necessary. Dry out the rusks in a very cool oven set between 70 ºC for 5 to 6 hours or until completely dry. Makes about 50 rusks depending on size. The rusks in the photo below are ready to be cut into fingers. 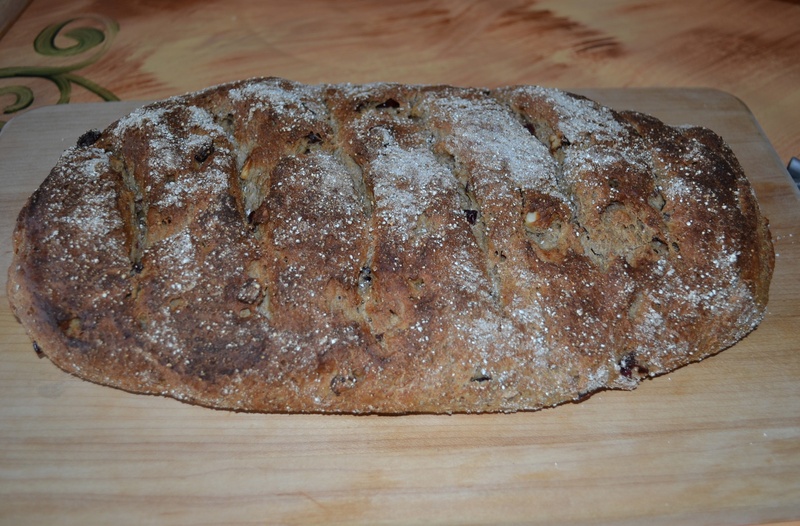 It was made with a halved recipe in a large bread pan (40 cm x 12 cm).